Tan in luxury and comfort! You'll love our clean rooms, comfortable tanning beds, chic waiting room and the added luxuries of fresh clean towels, bath robes, facial cleansers, refreshments, showers, and much more. Our friendly, courteous staff is on hand to answer any questions that you may have. At Fort Smith Tan Company, we make it easy and pain-free to get exactly the tan you’re looking for. Whether you choose Pura Sunless, UltraBronz or ProSun or custom spray tans, all four are reliable tanning methods and are easy, safe, fast, and affordable. Get a tan in only one week with the Ultrabronz or get immediate results with either of the spray tan options we provide. 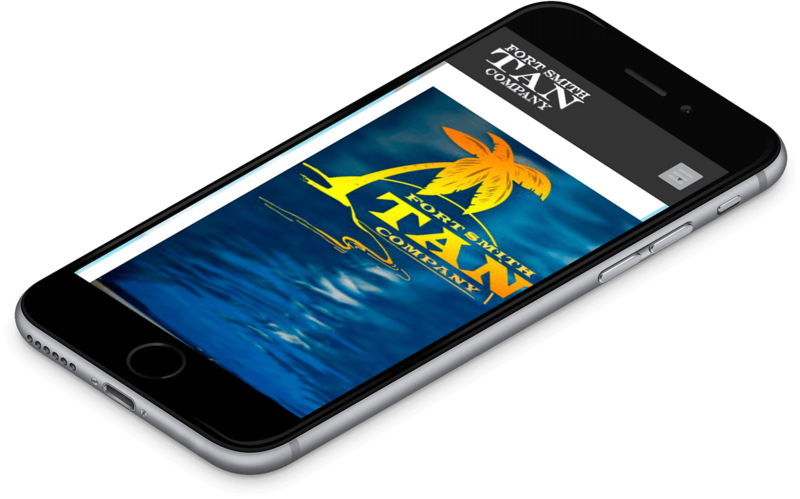 At Fort Smith Tan Company, you’ll have gone from looking plain and pale to having a beautiful, deep bronze tan that you’ll want to show off everywhere, from the beach to the grocery store. The only place you will find top of the line tanning beds in Fort Smith!! Not to mention the super sweet and helpful staff! I love the Ultra bronze beds!! They are perfect, I get a great tan without burning! It's awesome to actually NOT burn for once! Love this place after only one time! Best beds around!!! Definitely worth it! And they always run GREAT specials! ©2009 - 2013 Fort Smith TAN Company - Designed and Hosted by CyberSpyder, Inc.